Theodore "Ted" Rupert, 89, of Indiana, PA, passed away on Monday, March 18, 2019, at St. Andrew's Village, Indiana, PA. He was born Jan. 2, 1930, in Parkwood, PA, the son of Harvey Lester and Mary B. (Sloan) Rupert. Ted was a heavy equipment operator and a very skilled GradAll operator. He was often called upon to do the jobs that required accuracy and precision. He worked on many different jobs, including airports, highway construction sites, and the Kinzua Dam. Working close to home on the Rte 119 Bypass was a particular source of pride for him. Ted's greatest enjoyment was spending time with his family. He loved hunting and fishing, and all of his children loved learning from him. There were many family camping and fishing trips to be enjoyed, and he was very proud of his family. He was also a fabulous cook, and everyone looked forward to gathering to enjoy his Sunday dinners. He will best be remembered for his bright smile and his willingness to help others. He became friends with everyone he met. In later years he spent his time gardening and caring for his farmland. He loved watching all of the wildlife that visited his yard, and enjoyed sitting on his porch looking out over the countryside. Ted's family is thankful for the friendships made and the superior care provided by St. Andrews's Village and VNA Hospice. 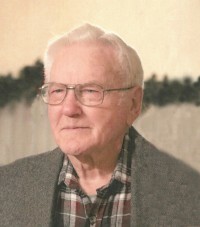 His memory will be cherished by his wife of 67 years, Twila Mae (VanHorn) Rupert, who he married on June 16, 1951; children, Larry (Darlene) Rupert of Elderton, Beverly (Jon) Gascoine of Indiana, Patricia (Bud) Jewart of Shelocta, Kathy Curry of Elderton, Connie (Joe) Bunyak of Indiana, and Jeffrey Rupert of Shelocta; sixteen grandchildren, numerous great-grandchildren, and one great- great grandchild. He was preceded in death by his parents; daughter, Lisa Rupert; grandsons, Matthew Welteroth and Christopher Bunyak; brothers Lisle (Bud) Rupert and an infant brother; sisters, Bernice Shoop, Betty Hainaut, Maxine Rupert, and Faye Allshouse. Friends will be received from 1:00 p.m. to 3:00 p.m. on Saturday, March 23, 2019, at the Clark Chapel of the Bauer Funeral Home and Cremation Services, Inc., 238 S. Main St., Elderton, PA 15736. Arrangements are being handled by the Clark Chapel of the Bauer Funeral Home and Cremation Services, Inc.
To send an online condolence to Ted's family visit www.bauerfuneral.com.